Obsessed with Clarks' patterned desert boot. A modern twist on a classic, must have shoe! 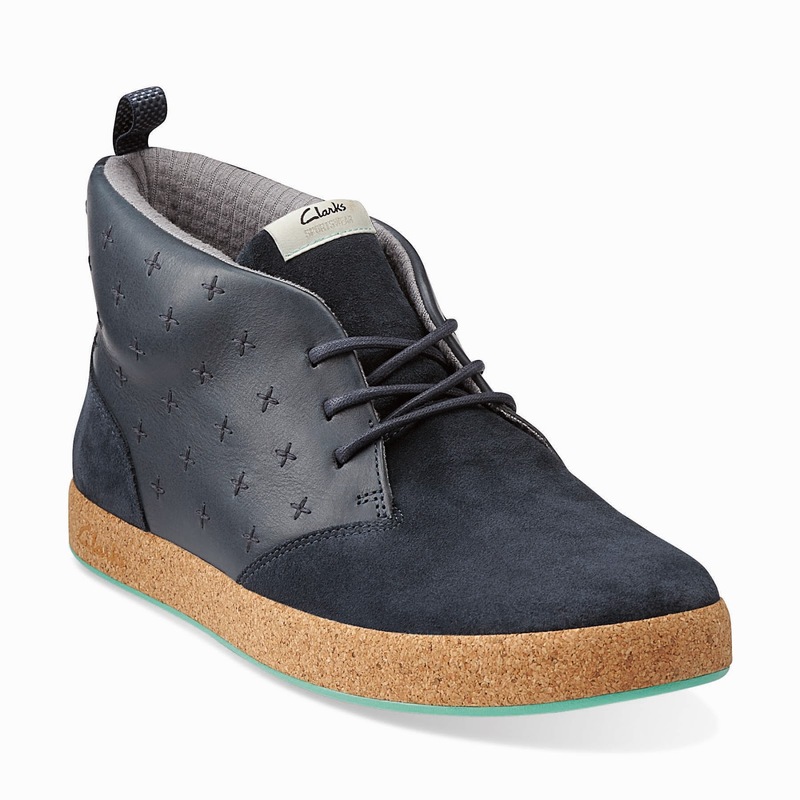 Recently I had the chance to check out Clarks' Spring/Summer 2014 shoe collection. I was really excited to see the new collection. Clarks has been around since 1825 so they know a thing or two about shoes. 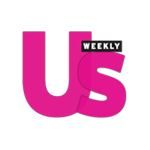 The storied shoe company had amazing shoes for both men and women but, I was so thrilled and surprised to see so many amazing shoes for men, I decided to make this post just for us guys! Ladies get tons of love on OJ&B but I can't help but love to talk about fashion that I can actually wear! Take a look at the mens' shoes that stood out to me at the Clarks S/S 2014 preview below. 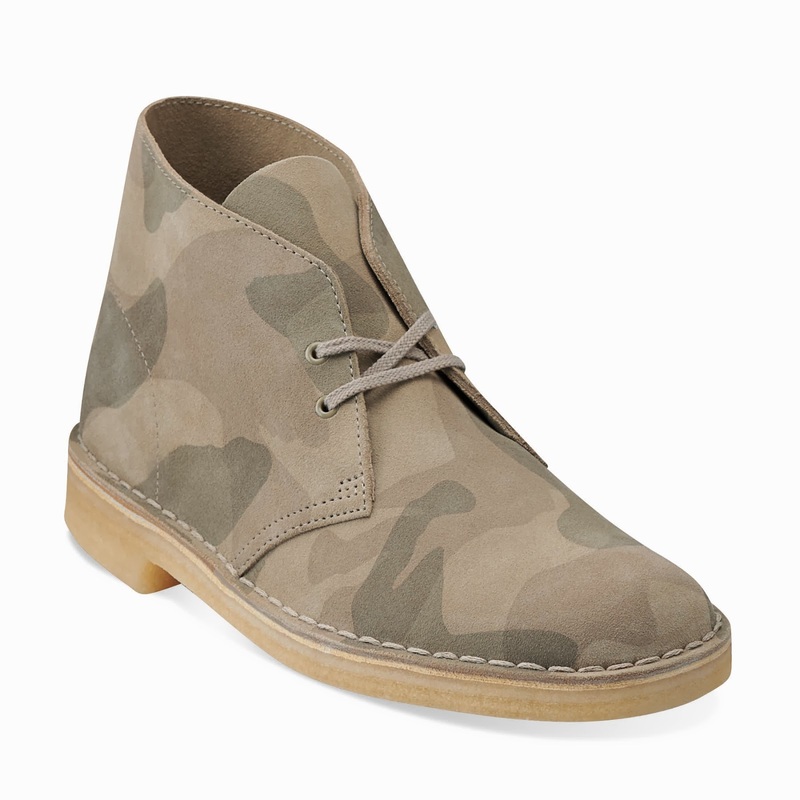 One of Clarks' original shoe is the desert boot. 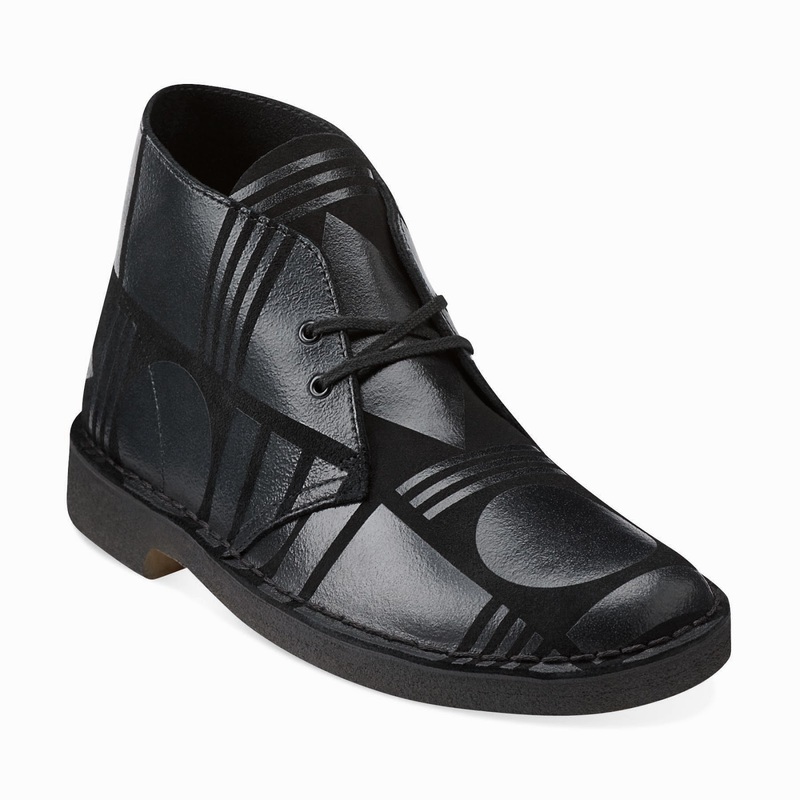 The company has put a modern twist on this iconic design by putting chic and fun patterns on the outside of the boot. The bold lacquered, geometric graphic on the boots above are inspired by shapes that make up our world. 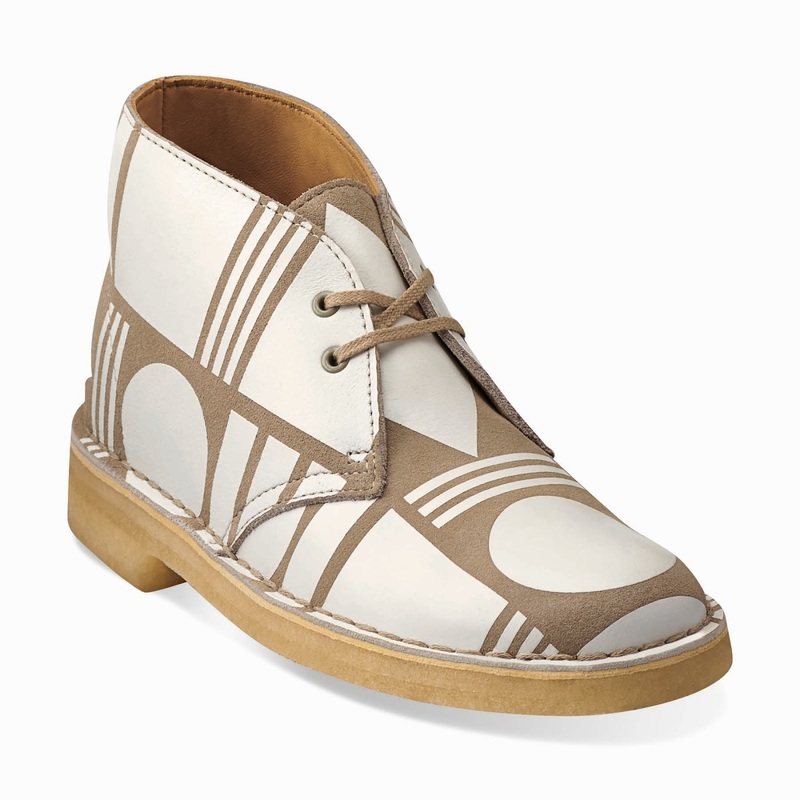 The design was created exclusively for Clarks by London-based style gurus at Patternity. 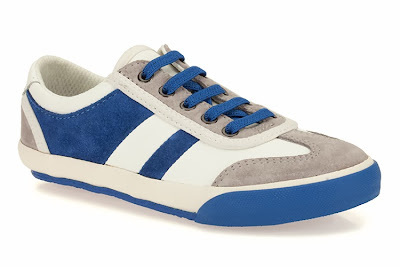 Shoes for men are more fun and playful than ever and I love it! For those guys who want to start having more fun with their shoes but may feel like the geometric shoe is too much for their aesthetic, these desert boots with the camo design are just for you! The desert boot style has been a hit in mens' shoes for quite a few seasons now but Clarks has been making them for decades! I say, if you are going to go with a trend, you might as well rock the originals (especially if they have been updated)! 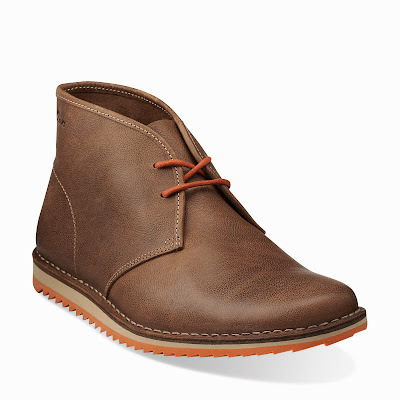 If your tastes are more clean and classic then this Maxim Top tobacco colored desert boot is right up your alley. These are great boots for looking sharp on casual Friday. For the sportier type of guy, Clarks has amazing shoes that are perfect for going to weekend brunch in. A lot of guys use athletic shoes to also go places in but, no matter what color combination the shoe is, they still look like a work out shoe. The Alfie Fun white and blue suede shoe from Clarks (above) is the perfect way to class up a casual look without rocking a big N on the side of your shoe. The good thing about Clarks is that all of the shoes are ridiculously light weight without compromising quality and style. The Tanner Surf shoe is probably my favorite shoe in the S/S 2014 collection. I love all of the detailing on the shoe especially the cork and mint soles. These shoes are perfect for going out at night and will make you stand out amongst the other guys. These shoes say that you know about style and that you are not afraid to be noticed. That kind of confidence will take you places. Every guy needs a good dress shoe in his closet. These woven Grimsby Craft dress shoes form Clarks are INSANE! 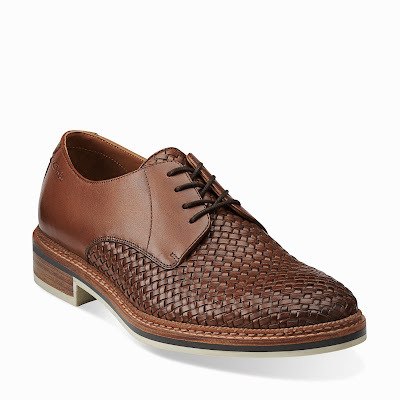 I love the woven look on shoes and I think this dress shoe looks so smart and sophisticated. This is the perfect shoe for the Hampton's. It can take you from garden party to dinner party and they will be a conversations starter for sure. These are hands down my fave dress shoes from the S/S '14 collection. 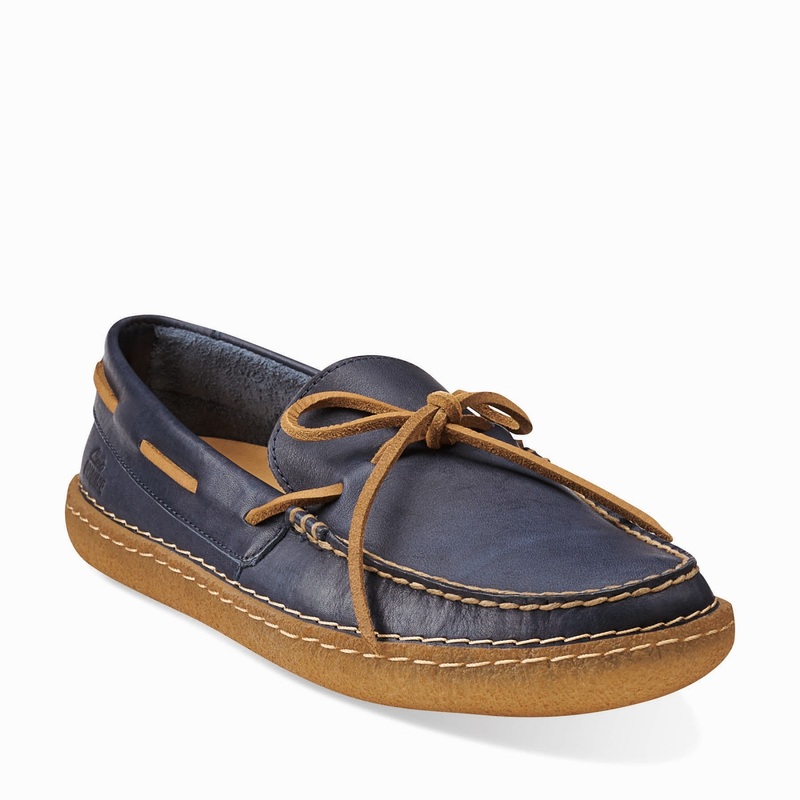 Speaking of Summer and the Hamptons, you have to have a good boat shoe! I love the Edmund Valley boat shoe from Clarks. The Navy and brown look sharp and again, will show that you know about style. Pair these with a nice summer short and a tucked in button up and you are ready to go yachting. Personally, I would add a bow tie for an extra touch of fab! All of these shoes make me miss spring/summer. Which shoes are your favorite and how would you style them? Let me know in the comments below! For more information about Clarks shoes visit their website by clicking here. I am so glad that you like the desert boots. I am not sure when these will hit the stores since they are Spring 2014 but please check out Clarks' website http://www.clarksusa.com/?gclid=CMmMp-6MzLoCFYqi4AodOzMAvQ for other great styles. You can also buy online. Happy Shopping!